Taiwan’s Urban Rural Mission (URM) took flight in the 1990s as martial law ended and Taiwanese democracy strengthened and there were no longer reasons to keep this ministry under wraps. URM, which emphasizes on advancing love, justice, human rights through non-violent means is a ministry started by World Council of Churches in Geneva. URM is both international and inter-religious. “URM is emphasizes expressing solidarity with suffering people – this is its point of departure,” said PCT pastor and one of URM’s lecturers, Rev. Cheng Kuo-chung. It delves into social problems and people’s hardships and develops organizational structures to help and unify oppressed people into a force to be reckoned with. PCT places great emphasis on training pastors and seminarians are required to apply for various training programs offered by their presbyteries during the first few years of their ministries. Examples include URM, Third-Party Neutral, Open-Space Technology, and spiritual formation courses. minister with love, effect change in their communities, care for God’s creation, and further hone their character and confirm their calling. 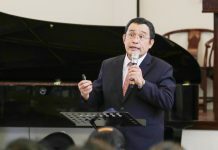 PCT Associate General Secretary Lyim Hong-tiong remarked that some pastors had commented that URM seemed irrelevant to evangelism or missions. But he opined that the gospel must be seen in a new light when it comes to URM and pointed to Jesus, who often surrounded himself with oppressed people, as an example for bringing good news to people in the midst of their suffering. Lyim reiterated that evangelism and missions must speak to common folks in their place of suffering. He added that many people from other religious affiliations first heard of the gospel because of their involvement with URM and later became Christians. 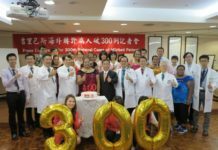 Notable examples include Taiwan Association of University Professors Chairman Tsai Ting-kuei and DPP Hakka Committee Chairman Yang Chang-chen.